Helpful tips to do your laundry like a pro. At some point in everyone’s lives, they’ll have to learn how to do the laundry. Whether you’re a freshman coming home from college or a new mom who is learning the ins and outs of cleaning your baby’s wipes and clothes, we’ve all had to figure out how to do the laundry without completely destroying the clothes. The manner in which you clean your clothes determines the longevity of the clothing, how long the colors remain, and the general quality of the material. Unfortunately, most people just simply do not know the basic rules for doing the laundry. 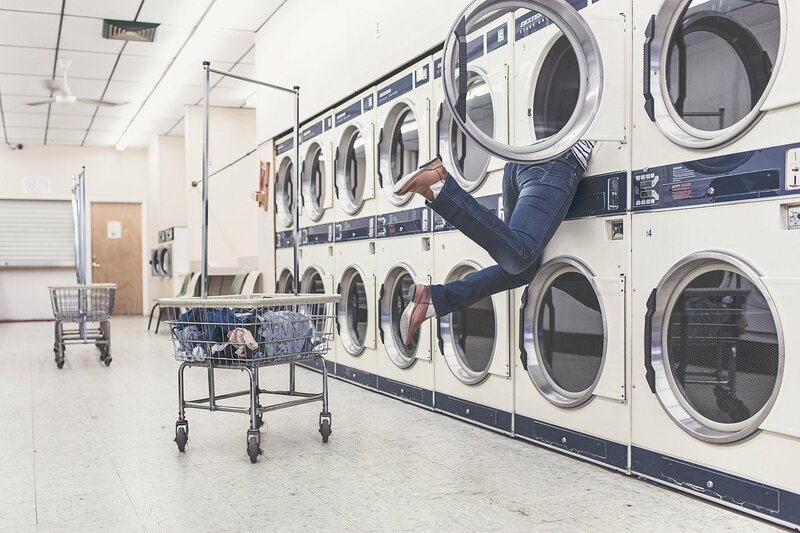 Here at Maid-zen, since we’re experts at home cleaning (including the laundry) we’re going to help demystify the process behind the laundry so that you can quickly and safely wash, dry, and fold your clothes like an expert. The labels on your clothing provide the basic guidelines for cleaning if properly and safely. Decode the symbols on the labels correctly before washing the clothing for the first time. The common areas to look at includes the temperature at which you can wash your cloth, whether you can bleach your clothes, and the drying methods applicable. A single dot shows low temperature, two dots means medium temperature while three dot means you can use high temperature to dry the clothes. Similar dots on a machine wash symbol show the temperature in which you should wash the clothes. A general rule is that first time washes should be done on a cold cycle to prevent shrinkage and colors from running. For the most part, cotton clothes can handle any wash. For other material such as silk or cashmere, you’ll want to use the delicate cycle to prevent any damage. If you are buying a detergent to wash the baby’s clothing, consider going for the less harsh and fragrance-free detergents. Chemicals in detergent can irritate skin. These detergents are also ideal for people who suffer from various skin allergies. If you’re dealing with cleaning greasy overalls, sports uniforms, and other heavily soiled clothing, go for the heavy duty detergents that contain surfactants and enzymes which remove tough stains. They include Persil and Tide. You also have a choice of powdered, single-dose packs and powdered detergents. Powdered detergents are less expensive of the three. Liquids are effective in dealing with tough stains. Single dose packs have been pre-measured for average load size and soil. Use appropriately as per the soiling and your load. Do not stuff all your clothes into a single washing machine. That is a great way to get your colors to run and deaden your whites Use the following criteria to sort your loads. Type of the fabric: Separate the tough fibers from the delicate fabrics so that you can decide on the appropriate washing cycle. Do not wash lingerie with zippered or clothes with buttons. Weight: Wash the heavy towels and bulky duvets together. Do the same for shirts and light t-shirts. The conventional detergents can remove most of the stains during regular cleaning. However, a few tough ones require additional attention. The stains are best removed when they are still fresh. Common beverage stains like tea, coffee, wine or fruit juice stains should be blotted out with a sponge or dipped in cold water as early as you notice them. Do the same for the blood stains. If the stains have dried out on the fabric, you can pre-soak them. Soak the fabrics in warm water. Avoid using hot water, it sets many stains. You can add a few drops of an enzyme-containing detergent in the water as well to help loosen up any stains. This setting is ideal for delicate fibers such as lace, silk, and lingerie. There are lower agitation, spin, and tumbling speeds. This helps prevent the ripping of the fabric fiber. Use the setting when washing a few clothes or that shirt you need to wear for a special event. The setting has a short wash cycle, and high-speed spin to dry the clothing faster. Do not use it for heavily soiled or delicate clothing. This cycle uses medium speed washing and a low-speed spin. It is ideal for synthetics, permanent press clothes, and colored fabrics. This setting is useful for jeans, towels and heavily soiled fabrics. A dryer dries your clothes fast but also uses lots of energy to produce heat. Air drying is cheaper but depends on the prevailing weather condition. Sort out fibers depending on the weight and fiber content when drying clothes in the dryer. Some fabrics require low-heat tumble dry settings to prevent any damage from the heat. As for air drying, make sure that the clothes have plenty of room to air dry, otherwise, they’re likely to mildew before they’re fully dry. No matter what you do, some of your clothes will get wrinkled, so you’ll need to bust out the iron from time to time to flatten clothes out. Fold clothes according to the type, for the ease of getting them a when you need to wear. Heavy jackets shirts and T-shirts are best hanged to prevent wrinkling. Organize the closet such a way that you have a section for every type of clothes. You can actually learn all the secrets to quickly and easily folding your clothes by using the tutorials on Youtube. They will change your life. For some households, the laundry just never seems to end. If you’re a working parent, keeping up with your laundry duties might just not be possible. 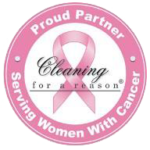 If you need help, you can check out our Laundry & Light Cleaning service. We are residential cleaning providers offering green cleaning services with eco-friendly options for your laundry and other normal cleaning duties. With quality cleaning procedures, you spend less time and energy, and your clothes remain in good shape much longer.